Video Reviews are back! Amy is back! Also here’s a better look at the label! watching this reminds me, I gotta get some of this. I plan to have a few friends and a citronella torch around the goldfish pond tonight. Josh, who was the young Lady in the white bikini behind you at the beginning? That is Amy’s sister Jennifer. She will be helping us review a beer in tomorrow’s post! Also that young lady is older than I and has given birth to 3 kids. Hahaha! I had the same question that Oscar had when watching the video. Stay tuned! She returns tomorrow! Josh, Interesting review in a lovely location. If this was an LDI product, it would have to say Indiana on the label (assuming the TTB was paying attention). 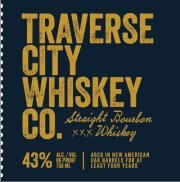 The COLA application was submitted by a distillery called Ugly Dog in Chelsea, MI so they may have distilled it, though the may just be the bottler. I’m going with the TTB was just not paying attention. I highly highly doubt it was distilled in Michigan. If you would have tasted it, I’m better you would have come to the same conclusion. No way it is a micro-distilled product. If I buy it again I will send you a sample. It is LDI whiskey and bottled by Ugly Dog Distillery which is based in Southern Michigan. Has nothing to do with distilling in Michigan, just bottled in Michigan….You get what you pay for. Nice if the company told the public what they were drinking…. Thanks for the comments! They claim that the sourced whiskey they are using is just to have something to sell while they are getting set up. I agree that more transparency would be a good thing from them and everybody else. In their defense, they did tell me it was sourced when I asked. But it would be nice if the bottle was more explicit. I still like it as a simple summer sipper.